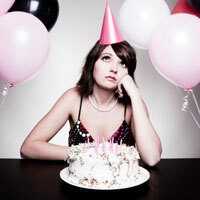 It’s my birthday weekend, but I don’t feel much like celebrating. Perhaps it’s the thought of aging. Perhaps it’s missing people who are no longer in my life. Perhaps it’s a string of regrets and should-haves and could-haves peppered throughout the last year. Perhaps I’ll just watch football with friends and try not to think of these things. Happy Birthday !! The Bar Belle at least needs to go out and have a few drinks with friends !! Oh I will. 🙂 Thinking about taking a trip to Huber’s.